Welcome to Newport Living & Lifestyles. My hope is that this lively video blog brings more exposure to the entrepreneurs and humanitarians that make Newport their home. Newport Living & Lifestyles is a video blog that connects locals and guests through video interviews with the people that make Newport County THE vacation destination on the east coast. Whether you’re looking for luxury or modest experiences, learn directly from the locals about what they are doing, where they are going, the notable drink and food destinations, trendy shops, places to play, where to park and more. You’ll hear from local business owners about what unique products and services they offer and even discover a featured product specifically for you as a Newport Living & Lifestyles participant. I landed in the City-by-the Sea in 2005 from Houston, Texas. As an avid Newporter, I’m a local member of the Newport Yacht Club, Tennis Hall of Fame, Newport Art Museum, The Audrain Automobile Museum, The Newport Chamber of Commerce, The Newport County Board of Realtors and Co-President of “Texans in RI.” My vision is to unveil and unite more locals and visitors with behind-the-scenes personalities, events, charities and businesses that make Newport the amazing city that I call home. 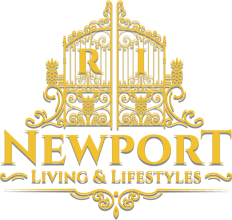 If you are interested in collaborating for a segment on Newport Living & Lifestyles, please contact me via phone or email to schedule an appointment. We can explore the best options together for your feature. Newport Living & Lifestyles is a video blog that connects locals and guests through authentic interviews with the people that make Newport County and beyond what it is today.